One day my mum took me to a bike auction sale hoping to buy me a bike but there were no childrens’ bikes. We decided we’d would go to the china sale across the road. We bought some china and were about to go home when we found out our car had a flat tyre! We had to stay at the china lady’s house for a while, (but she wasn’t made out of china!). I convinced her to make me lunch! It was a nice cheese sandwich. 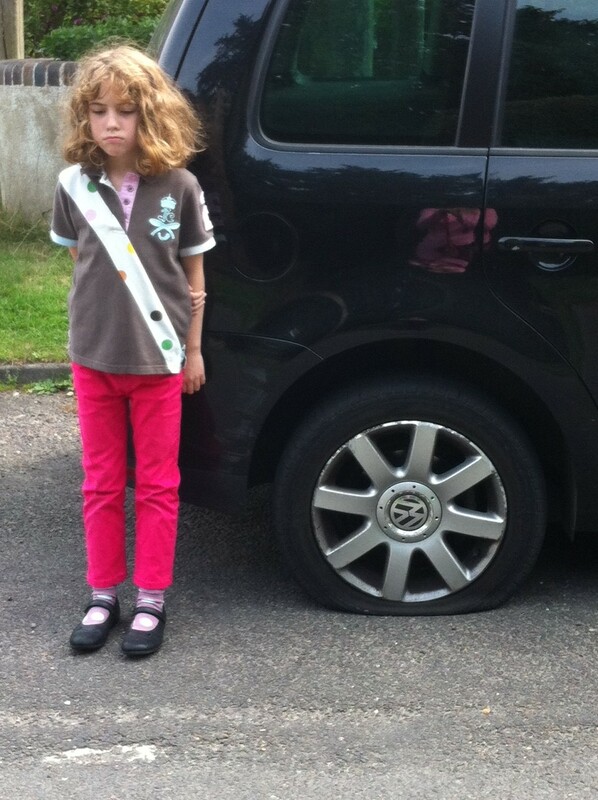 We called the AA and they said they would come to us within 1 hour. I climbed the War Memorial and read it many times, while we were waiting. After waiting 1 hour, we called the AA again and they said it would be ANOTHER hour before they would come out to us! 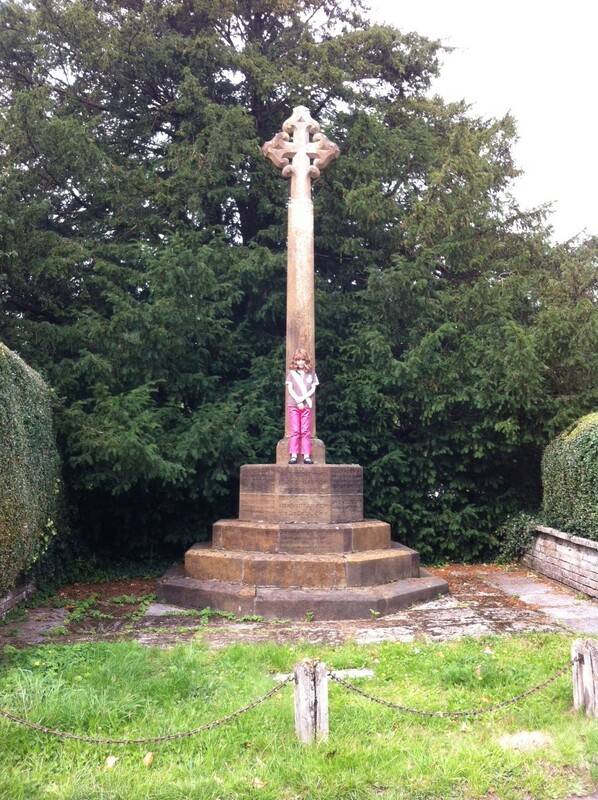 We went for a walk around the village. We came back and we decided to play I Spy. In the middle of the game I got bored, and I thought that it wasn’t fun to be stuck here any more as it was over 2 hours of waiting. 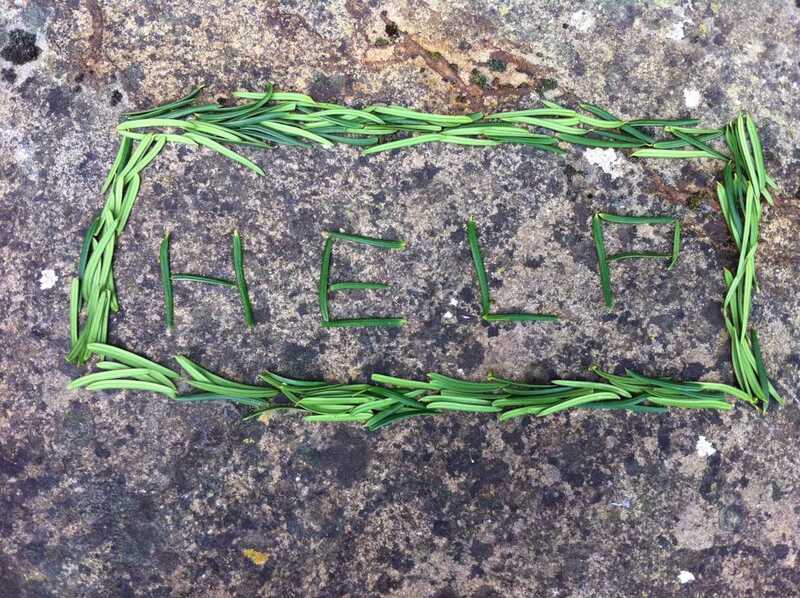 I made a HELP sign out of pine leaves on the top of the war memorial. It eventually worked and the AA man came. He fixed our tyre and we went home exhausted. Our 10 minute trip took 4 and a half hours!